Iceland is, without doubt, the puffin watching capital of the world. Bird watchers and scientists from all over the world come to Iceland to see this interesting species for themselves. 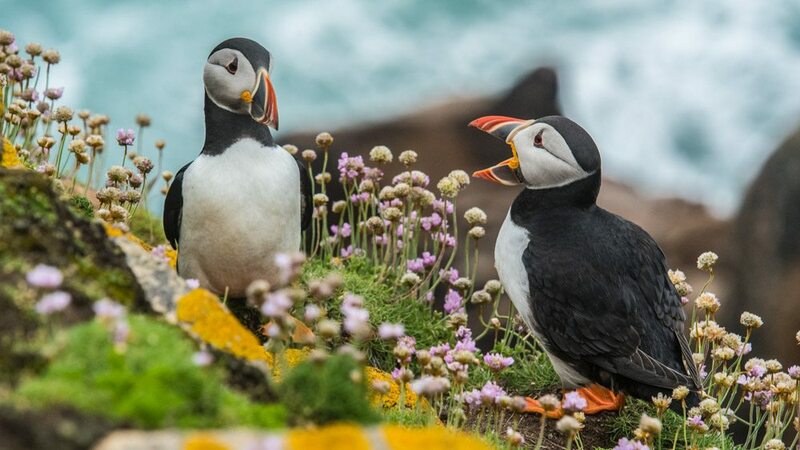 Thanks to the incredibly cute and funny appearance of these birds, puffin watching has become one of the top favorite summer activities for visitors in Iceland! Are the Atlantic Puffins protected? With 8 to 10 million puffins inhabiting the island, Iceland is home for more than of 60% the world’s entire Atlantic puffin population. With a large part of this population walking almost hand in wing with humans during the summer season, it is definitely something Icelanders are proud of. Lundi is the Icelandic word for puffin, making the name just as short and easy to remember as the lovable creature it refers to. Although they aren’t the national animal of Iceland, you might get the impression that they are, especially when walking along the shopping streets in Reykjavík. This cute little bird is the superstar of all the local gift shops! When you want a puffin shop, “Lundinn” is the name to look for! If you visit Iceland in the summer season, between May and August, you’ll have the best chance of running into some puffins on your trip. 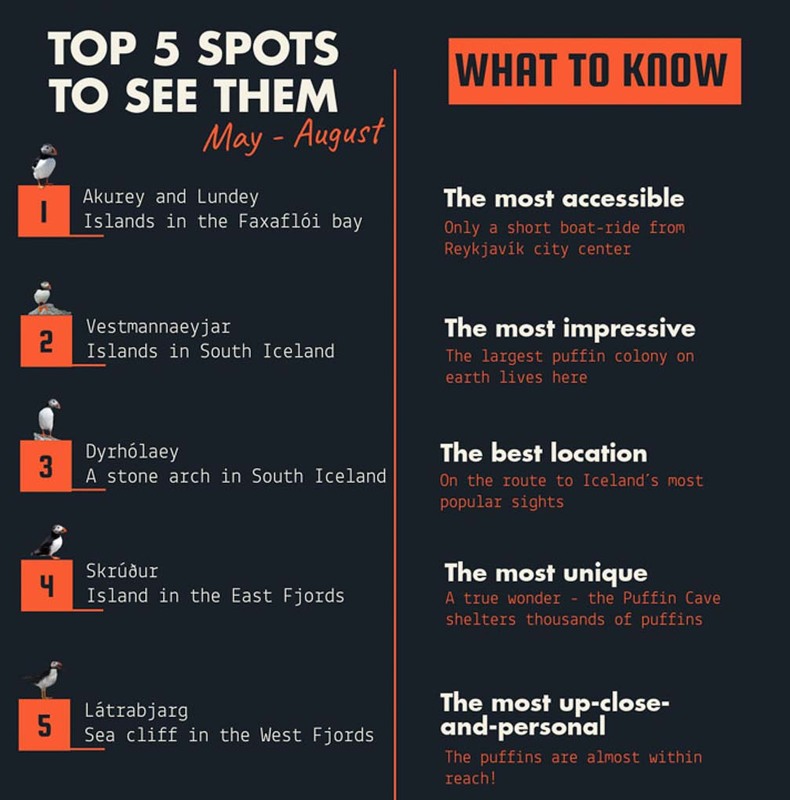 You don’t have to travel far from the capital, as a large puffin colony breeds on a small island just a few minutes sailing-time away from Reykjavík. In this article, I will share everything you need to know about these adorable little birds! Thanks to their funny appearance, puffins have been nicknamed ‘sea parrots’ and ‘clowns of the sea’! Their waddling walks make them look a little comical. The Icelandic nickname of the puffins is “prófastur” which means preacher. Due to their “dressing”. They change their color during the year. At the end of the breeding season, some of the special characteristics of their plumage are lost when they molt. Their white feathers become dark gray and their beaks also change, becoming narrower, with a tip which is bright. The birds develop their brighter colors once again during the spring. Their winter dress is, though, seldom seen by humans! This is because puffins spend the winter – more precisely, the larger part of the year, some eight months – out at sea. They spend most of their lives resting on waves, coming ashore only to breed and raise their young, known as pufflings. Each female produces a single puffling every year. While at sea, the birds spread out widely across the North Atlantic Ocean. Each bird has more than a square kilometer to itself, so it is very unlikely that anyone will spot a puffin on the open sea in winter. In late spring, thousands of puffins form large colonies on coastal clifftops, coming together for the breeding season. Puffins are monogamous. They usually mate for life and a couple can stay together for over 20 years! To make their nests, known as burrows, they dig out a burrow in the turf or soil where they lay their single egg. Each year they return to the same burrow. The male and female share parental responsibilities, they take it in turns to incubate the egg. 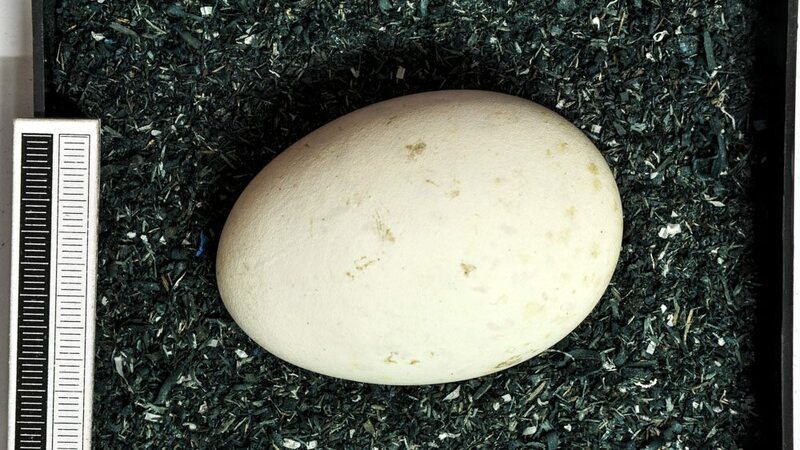 It takes 36-45 days for the baby “puffling” to hatch. The chick grows rapidly, after about six weeks it is fully developed and capable of caring for itself. Atlantic puffins have incredible skills. They can dive to depths of about 60 meters and fly at a speed of 88 km/h (24m/sec) by flapping their wings 400 times per minute! The reason for why they need to flap their wings so fast is because their bones are not hollow so they are heavier than other birds. This is the reason why they can dive down as far as they do. In bird terms, puffins live long lives. The oldest recorded puffin was ringed in the Westman Islands and died at the age 38. However, the average lifespan of a puffin is 20 to 25 years. Puffins spend most of their lives out at sea where they spread widely across the ocean, making it hard for anyone to find them. They only come ashore to lay their eggs and spend the few months of the summer in Iceland, while the chicks grow strong enough to take care of themselves. The best time to see the puffins in Iceland is the summer. They arrive in May and leave in late August. The colony is usually the most active in evenings. The birds stand outside of their burrows, resting on the grass before heading out to sea to where they spend the night roosting. These cute, silly looking little birds are free and wild animals. Their appearance is the result of millions of years evolution and they were not created to make people giddy and happy. 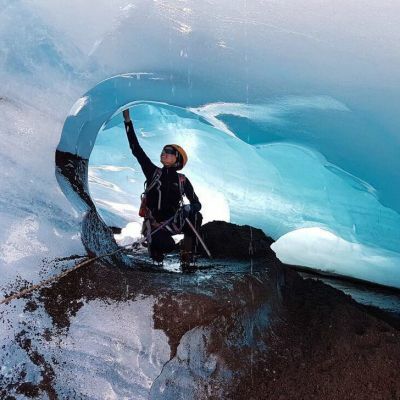 It is understandable that we, curious as humans are, would like to explore nature and connect with it on a personal level, but we need to keep in mind that we can do serious harm unwittingly. Ultimately, we are responsible for protecting them. Puffins do not often show any fear towards humans and approaching them very closely seems to be easy. But this doesn’t mean that they want to be touched or that they enjoy our company. Touching a puffin is actually very harmful to them as their feathers have special properties that deflect water. Petting them ruins this. Please always be respectful towards the birds. Touching and feeding them is the worst thing you can do. Furthermore, approaching them too closely around the edges of cliffs is very dangerous. The grassy turf slopes hide a network of tunnels where the birds have dug burrows for their eggs. These holes can easily collapse when we step on them, which is extremely dangerous close to the thrilling cliff edges. The safest and least harmful behavior at the bird cliffs is to lay down quietly in the grass, approaching them very slowly and quietly, and watching them motionlessly. Emulating a nature photographer is the best way to go. There are a number of places in Iceland where sightings of the Atlantic Puffin are plentiful. There are guided puffin watching tours all over the country, but in many cases, it is also possible to drive to their habitual locations to spend an afternoon with them. 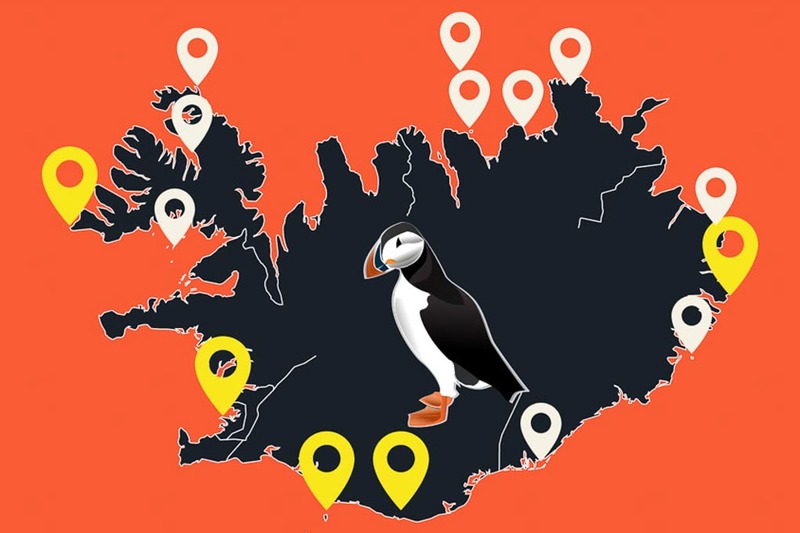 This list is the most complete guide yet to finding puffin in Iceland. Note! Never approach too close to the cliff edges as the burrows that the puffins have dug make the ground lose and hollow! Reykjavík is not one of those places where you can find puffin colonies by yourself. If you would like to see them in the capital, you need to get on a boat. A large puffin colony breeds on two small, uninhabited islands by the names of Akurey and Lundey, nearby. Not only puffins can be found here, but also cormorants, black guillemots, eider ducks, seagulls, kittiwakes, arctic terns, and northern fulmars live and nest here. Akurey and Lundey are often referred to as the Puffin Islands. 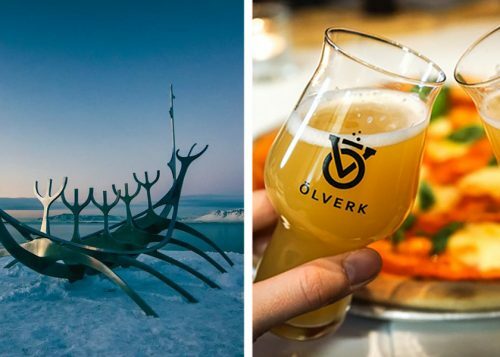 They are both very close to Reykjavík, only a half mile away, a few minutes from the city center by boat. In the summer season, puffin watching tours with 100% sighting guarantee operate multiple times a day. There are plenty of amazing opportunities to meet the puffins along the route to Iceland’s most popular sights on the South Coast. Iceland’s largest puffin colony lives in the Westman Islands, some 10 kilometers off Iceland’s south shore. One-fifth of the world’s total puffin population nests here every year, this means you will find the largest single colony in the world here! In addition, thirty other bird species have nests around the islands. Vestmannaeyjar is a group of 15 small islands, the largest one is called Heimaey, ‘Home Island’. It is also the island with the largest bird population off the Icelandic coast. Puffins live so close to humans here that there is a tradition of rescuing baby puffins in trouble. During the months of August and early September young puffins are left alone by their parents and are forced to start taking care of themselves. The first solo hunting attempts made by these puffin babies sometimes fail. Like all youngsters, they tend to get distracted by the city lights, so they end up landing on asphalt and in gardens. Local children are allowed to stay out late throughout these weeks. They patrol their neighborhood streets clutching boxes to collect the lost birds, they then return them to the wild. In January 1973, a violent volcanic eruption destroyed half the town. The houses which were half-buried in solid lava can still be seen on the island. 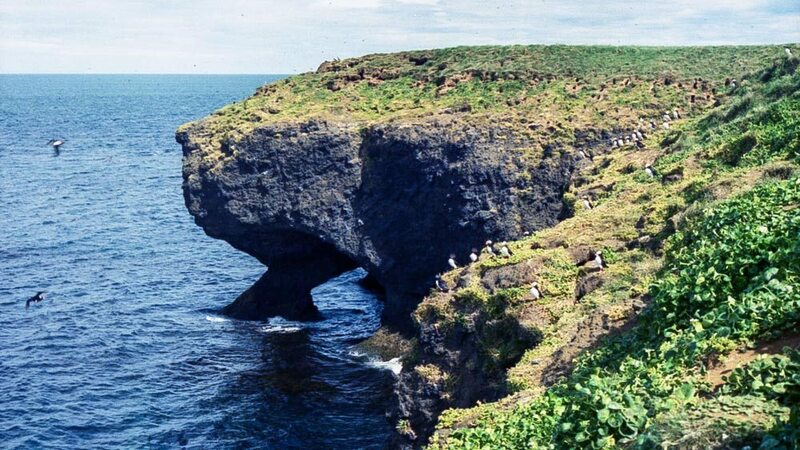 Heimaey is definitely worth a visit, not only for the puffins but for its interesting history and geology. Puffins have also started to populate and build nests on the second newest island on our planet, Surtsey, which is the second largest of the Westman islands. This island resulted from an eruption from a vent under the ocean in November 1963. However, only scientists are allowed to approach this amazing place. Reaching the Westman Islands throughout summer is possible by domestic flights from Reykjavík airport, and public ferries from Landeyjahöfn, a lonely harbor not far from Hvolsvöllur and Seljalandsfoss on the South Coast. The south coast is one of the most popular tourist routes in Iceland. The famous black sand beach around Vík is one of the highlights of the area. 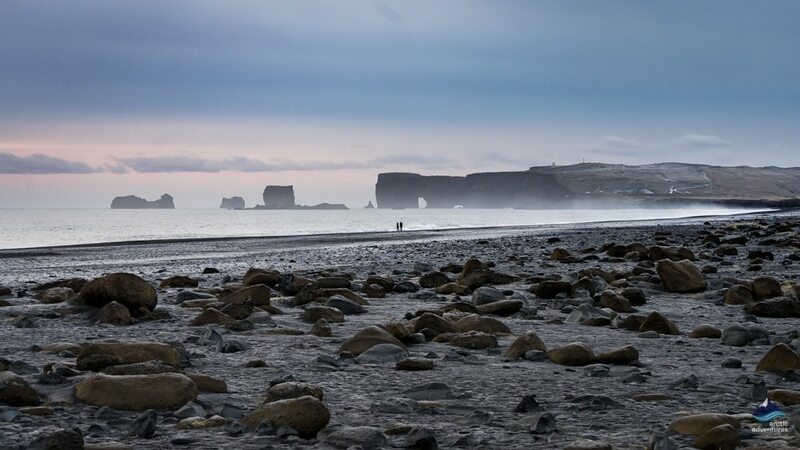 Dyrhólaey, a massive stone arch surrounded by the black sandy beach is a must-visit destination all year round. It is located a few kilometers from the village of Vík. In summer, Dyrhólaey is a popular nesting area for the puffins. Visit them carefully, do not try to approach the birds here. They dig deep burrows into the grass close to the cliff edges. The nesting area is fenced off for their peace and for the visitors’ safety. Even so, the birds are easy to observe from a distance of a few meters. The South Coast’s next remarkable puffin spotting place is called Ingólfshöfði. This is an isolated headland, surrounded by black sand dunes and rivers from one side and the ocean on the other. The isolation makes this area a perfect shelter for thousands of seabirds, especially puffins, kittiwakes, guillemots and the great skua. This headland also provided shelter for Iceland’s first settlers, Ingólfur Arnarson, and his family. They spent their first winter here in the years 874 and 875, this is where the name Ingólfshöfði which means ‘Ingólfur’s Cape’ originates from. This beautiful nature reserve, with the bird cliff at the end, is located one and a half hours’ drive east of Dyrhólaey, half an hour before you get to the famous Jökulsárlón Glacier Lagoon. 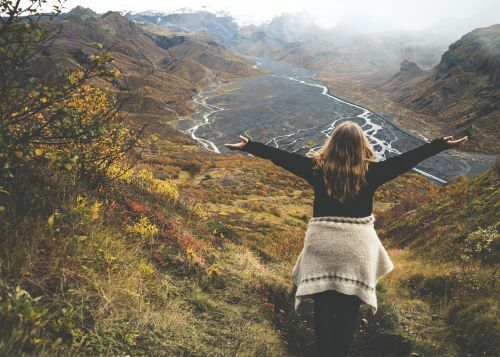 The reserve lies between the farms of Hofsnes and Fagurhólsmýri, in the shadow of Iceland’s highest mountain, Öræfajökull, nature alone makes the trip well worthwhile. Crossing the sand dunes requires a special vehicle, so to access Ingólfshöfði you will need to purchase a puffin watching tour. Probably due to its isolation, this place is not a very popular puffin watching spot with travelers, which makes it perfect for those who would like to avoid crowds. Puffins, guillemots and other birds nest in Papey and occasionally seals rest on the coastal rocks. This tiny island just off the east coast of East Iceland was inhabited from the time of Iceland’s settlement until recently. According to a local legend, a giant is believed to live there too. When the population peaked in 1726, no more than 16 people inhabited the island. The last residents left in the 1940s. Iceland’s oldest wooden church is still standing and in great condition, daily boat tours are run from the village of Djúpivogur. Skrúður is a small and uninhabited island in the Eastfjords. It is famous for its impressive steep cliffs and the high and spacious Skrúðshellir cave – the largest cave in East Iceland – which shelters 18 species of birds, along with kittiwakes, fulmars and approximately 150,000 puffin couples. Curiously, these puffins nest in the cave, laying their eggs directly on the ground without digging a burrow. The cave is divided into an inner and an outer part. The larger part is approximately 125m (400 feet) long 85m (279 feet) wide and up to 22m (72 feet) high. In the olden times, farmers came regularly to collect the eggs and birds for food. The cave was also used as a shelter and a fishing base for sailors. The island and the nesting colony has been protected since 1995. About 10,000 pairs of puffins nest every summer in Borgarfjörður. With puffins in the majority, 20 bird species, including a number of duck species, moorland birds, geese, divers, swans, and skuas can be observed quite close up from a special hideaway in a single spot. It is so unusual to be able to watch so many species this closely from a single spot. This is probably the easiest and safest place to watch puffins in Iceland, asides from the long drive to get there. There is a shelter and wooden platforms where you can get really close to the puffins without the risk of falling into a burrow or down a cliff. There is even a live video stream from Borgarfjarðarhöfn. You can see puffins nestling here from May to August. Borgarfjörður Eystri is a fjord in east Iceland. If the inhabitants of all the adorable tiny villages were to be counted, the population of the area wouldn’t exceed 130 residents. The area is known for its great natural beauty and as a unique bird-watching spot. 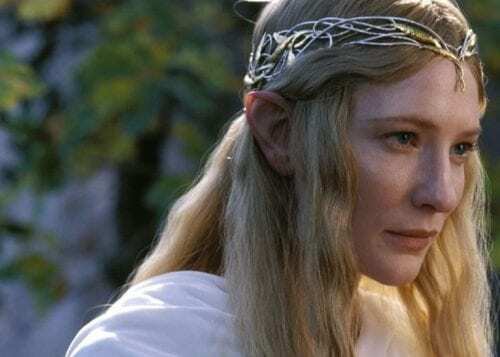 Moreover, the Queen of Elves herself is said to reside here! There is a route called “The Birding Trail” in northeast Iceland. This area provides plenty of great puffin watching points for bird lovers. 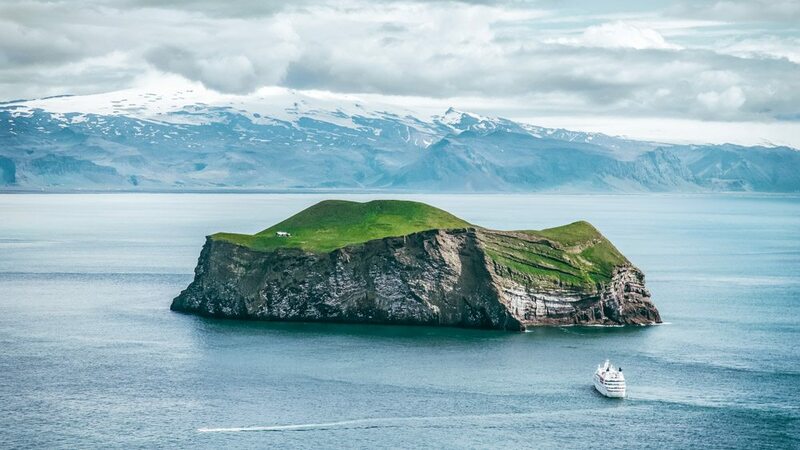 The best ones are the remote Rauðinúpur cape in the north-westernmost point of the island, the Tjörnes peninsula to the north of Húsavík and two other beautiful islands, Grímsey and Lundey. A large puffin colony nests on the 60-meter-high cliffs of the Tjörnes peninsula. It is also famous for its particularly dense population of rock ptarmigans. 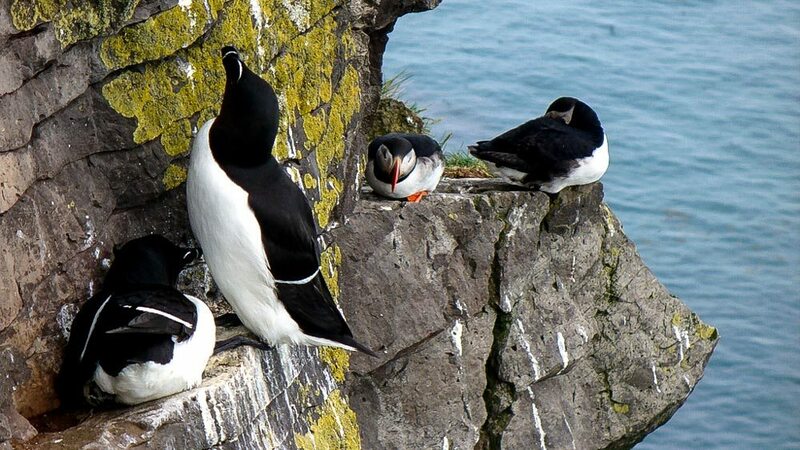 To get the best view of the puffins, hike for 15 minutes to the outermost tip of Tjörnes called Voladalstorfa. Another puffin colony lives near Hringsbjarg, on the east side of the peninsula. An observation platform provides a safe base from which to watch the birds. Purple sandpiper, dunlin, red knot and ruddy turnstone, black guillemot and great cormorant can be observed along the cliffs of the peninsula as well. The multi-colored, layered cliffs are amazingly scenic, and the area is rich in two-million-year-old fossils. Grímsey Island lies 40 kilometers off the north coast of Iceland. With the Arctic Circle running through it, Grímsey is the northernmost inhabited Icelandic territory. One hundred people live on the island, along with one million birds every summer. The birdlife in Grímsey is flourishing with numerous wader, moorland and seabird species, which have incredibly dense populations. The island is a remarkable puffin and tern nesting site but kittiwake, northern fulmar, razorbill, guillemot, and murre can be observed among many other kinds of bird. Flatey, the ‘Flat Island’ is a paradise for bird watching with over 30 different species during the breeding season. With its highest peak rising only 22 meters above sea level, Flatey the fifth largest island in Icelandic waters. Flatey has been uninhabited since the 1960s but families that lived there still keep their houses as summer homes. After the population became really sparse, the inhabitants they held a town meeting and asked themselves, do we stay or move? Finally, they decided on moving, so all that remained then left together. Many have moved to Húsavík and Hrísey – another birding island in Eyjafjörður (but no puffins there). Do not mistake it with the other Flatey island in the West Fjords, which is more famous for its arctic tern colony. 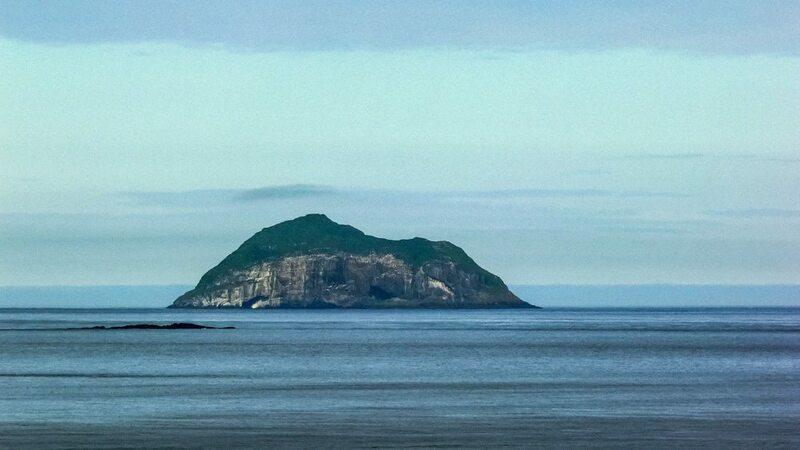 This Flatey island with the puffins lies in the Skjálfandi Bay, north-west from Húsavík. Boat tours run to Flatey from Húsavík in summer. The Westfjords offer some of the best bird watching sites in Iceland. The incredibly scenic Látrabjarg cliff is one of the best-known places, although there are plenty of amazing bird watching sites around the fjords of Breiðafjörður, the southern part of the West Fjords, in the famous Hornstrandir Nature Reserve and Steingrímsfjörður, a fjord in the northern part of the Westfjords. The unique Hornstrandir Nature Reserve is located on the northernmost tongue of the Westfjords. Puffins nest in Hornbjarg and Hælavíkurbjarg, the eastern part of this nature reserve. These birds are thought to be more trusting towards people than in other places because they haven’t been pestered and they don’t meet many humans. This beautiful spot is known for being one of the most unique nature reserves on the planet. There are no roads leading there, it is inaccessible and closed to any kind of motor vehicle. It can only be accessed by boat and then explored on foot. This is an ideal place to combine hiking and bird watching. In the scenic fjord southwest from Hornstrandir lies a small island – often referred to as “Paradise Island” – that is inhabited by a single local family, some 100,000 puffin couples and thousands of ducks, arctic terns, and black guillemots together with the odd seal. Boat tours are run to Vigur in summer from the town of Isafjörður. This stunning fjord between the Snæfellsnes peninsula and the Westfjords is home to countless tiny islands where a teaming birdlife flourishes every summer. 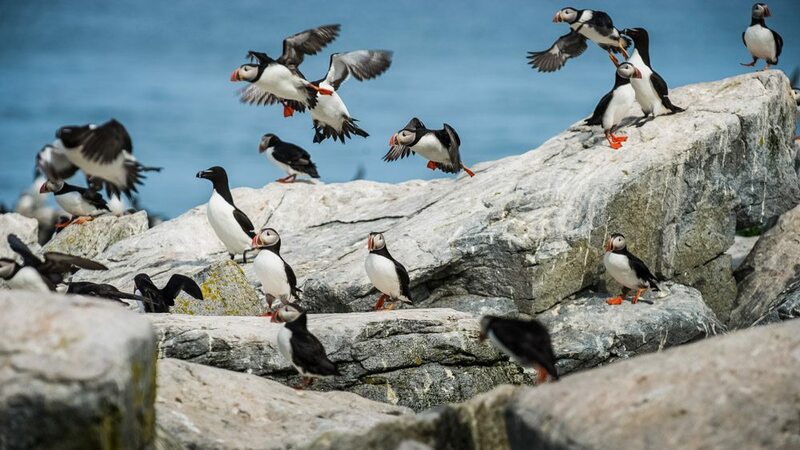 A large puffin colony nests on the island of Hafnarhólm, there is a special hidden viewing spot which provides a great chance to get up close and personal with these birds. The islands of Þórishólmur and Steinaklettar are also known for their great puffin spotting opportunities. Boats run regularly to these islands from the town of Stykkishólmur on the Snæfellsnes peninsula. Finally, last but certainly not least, we come to the spectacular Látrabjarg, one of the most thrilling bird watching places in Iceland. The 14 kilometer-long (8.75 mi) bird cliffs rise to 441 meters (1,447 ft) in height – this place is truly awe-inspiring and provides amazing close-range opportunities for bird photographers. 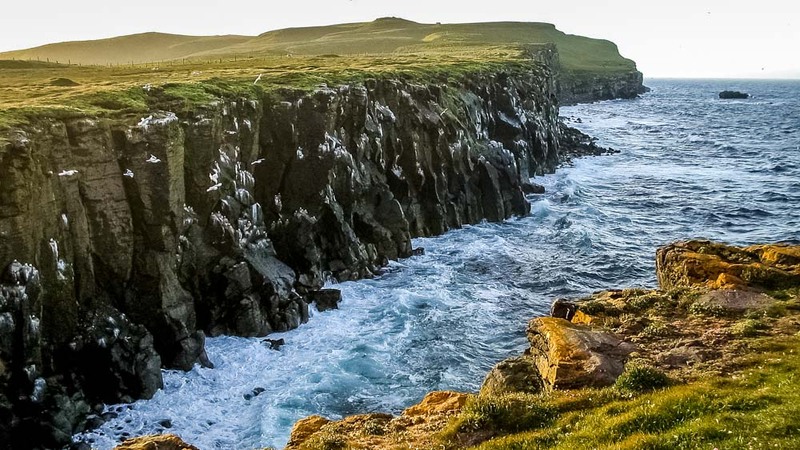 Látrabjarg is home to literally millions of birds, including puffins, gannets, guillemots, razorbills, white-tailed eagles, red-throated loons, arctic terns, redshanks, snipes, auks, murres, kittiwakes, fulmars, snow buntings, ringed plovers and more. These cliffs are vital for the survival of entire species since in some cases they host up to 40% of the entire world’s population for some species, such as the razorbill. Látrabjarg is deservedly the most visited attraction in the Westfjords. However, this fact makes it more dangerous than others spots I have mentioned. Many visitors are not aware of the fact that there are puffin burrows beneath their feet, which make the ground very unstable close to the edges of the cliff. Where many people gather, they tend to mimic one other which can lead to people straying, literally, onto the dangerous ground! Please take care and do not approach too close to the edges. Látrabjarg is often referred to as the westernmost point in Europe but, in fact, it is the Azores in the mid-Atlantic Ocean which holds that particular title. Látrabjarg is, without doubt, the westernmost point of Iceland and totally worth visiting. Puffins have been hunted by man since both species have existed. They provided a vital source of food through the centuries for the locals in this harsh climate. The birds were caught for their meat and eggs, while their feathers were used in bedding. Iceland’s largest puffin colony in the Westman Islands was almost entirely gone around 1900, due to overharvesting. Thanks to some long periods of hunting bans on, the colony succeed in recovering fully. 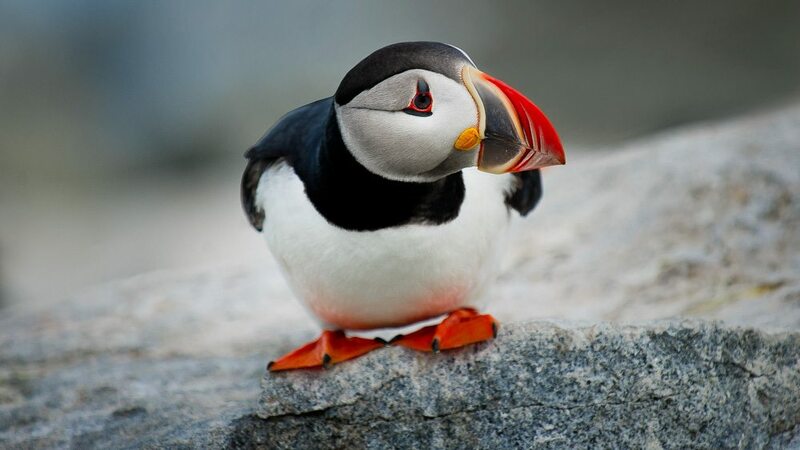 Today, Atlantic puffins are protected by legislation in most countries, except for Iceland and the Faroe Islands. Strict laws prevent them from over-exploitation and hunting is maintained at a sustainable level in these two countries. Not only human hunters, but rats, mice, and arctic foxes are also a danger to the puffins. They eat the eggs and the young chicks, leading to a lack of breeding success for the puffin colony. Besides, the increasing population of the rabbits endangers the puffins’ habitat too, since the bunnies like to nest in their burrows. Overfishing and serious sea pollution, like oil spills, can also endanger the survival of these beloved birds. A strong and rapid decline has been seen again in the Icelandic population since 2000. According to the International Union for Conservation of Nature, Atlantic Puffins are considered a ”vulnerable” species. Firstly, check out our puffin map and choose the location. If your plan is to join a puffin tour, you will surely find instructions in the tour description. If you decide to drive yourself, make sure you have checked the weather and road conditions, and also check your car will be suitable for the drive you are planning. 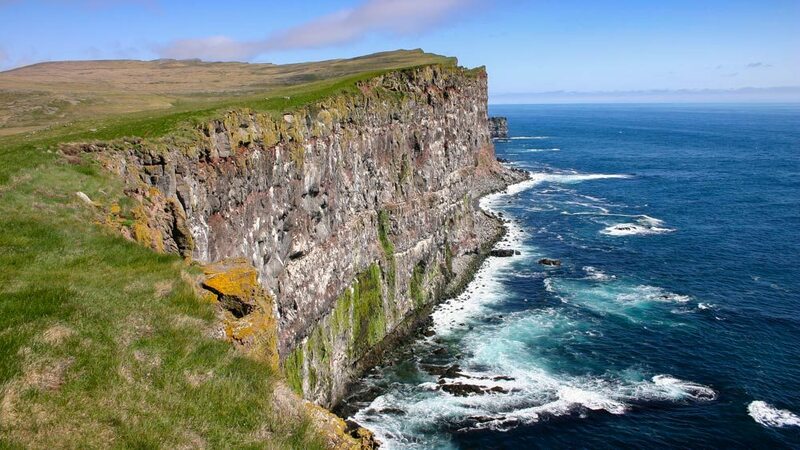 There are places, for example, the Látrabjarg cliffs, which are not so easy to access because not all of the journey can be completed on paved roads. So, you also need to make certain that your car is insured for use on roads which are not asphalted. Make certain your gear, your clothing, and boots, will be compatible with the weather forecast and the likely underfoot conditions. Approaching the puffin watching points often requires hiking – with Iceland being Iceland, you can expect rapid weather changes at any time. Sturdy, waterproof boots and rain gear are a necessity for any puffin watching trip. Most of the time, it is quite easy to see the puffins without binoculars, however, if you have them you might enjoy the sightseeing even more. 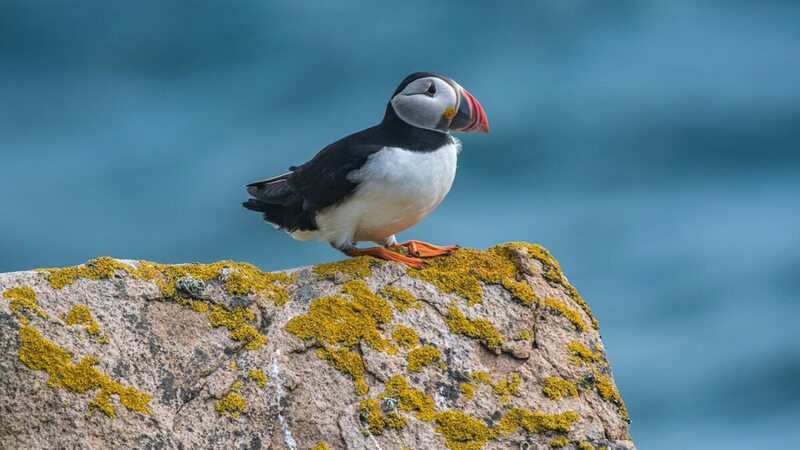 Plenty of companies offer puffin watching tours all over the country. There are short boat trips from Reykjavík, day trips and multi-day tours that include puffin watching as well as taking you to visit many other sights, and often including exciting activities as well. Some places are easily accessible by simply driving yourself to the destination, so you don’t necessarily need to take a tour. For example, Dyrhólaey and Látrabjarg, the two most popular spots are easily reached. You can also visit the Westman Islands by taking the scheduled ferry. Most of the puffin watching places on the mainland are normally accessible by car. However, Ingólfshöfði and Hornstrandir, both located on nature reserves, are exceptions. To get to Ingólfshöfði you need to purchase a tour which runs twice a day, the meeting point is actually 2 kilometers from the nature reserve. 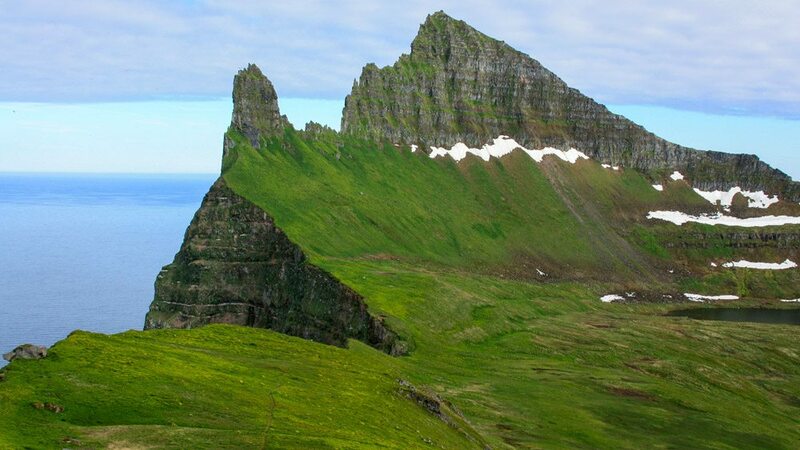 Only highly experienced hikers are advised to explore Hornstrandir without a guide. There are no roads or any other kind of facilities in the nature reserve. To get there, you must either buy a guided tour or take a boat ride from Isafjörður. Some of the Islands, like Grímsey and the Westman islands, are accessible by scheduled ferry. For the others (Vigur, Papey, Flatey, and Skrúður) you can find boat rides from the closest larger towns. If you would like to read more about Iceland’s fantastic wildlife, check out our Guide to Iceland’s wildlife! Have you ever seen a puffin? Those who have been bitten by the wanderlust bug probably know that the most mesmerizing beauties are often hidden from the crowd’s eyes. You have to get out of your comfort zone to find them. But when you do, your prize is much more than a few nice views. The Laugavegur hiking trail is known as the best in Iceland - or possibly even in the whole world. Iceland has become world famous for being a geothermal paradise. Everyone wants to experience the feeling of soaking in natural hot springs under the northern lights. Find out why you shouldn’t be one of them. Driving the famous Ring Road comes top on the bucket-list for many travelers to Iceland. I have done the Ring Road three times, met wonderful people along the way, and had a great time. Would I do it a fourth time - absolutely, yes! There are so many different things you can do along the way. Take a few days or a couple of weeks! 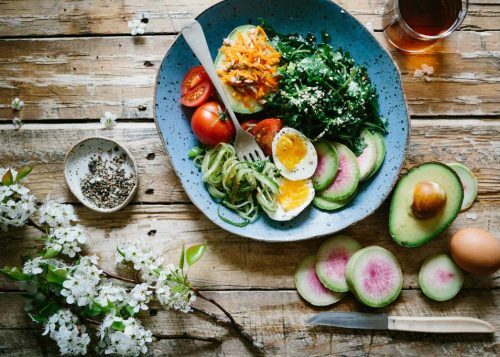 Let me share my Ring Road tips and ideas with you.